Central Australia has some of the most iconic scenery in the country, as well as one of the great desert walks in the world, The Larapinta Trail. This is the true heart of the Australian Outback, and if you haven’t experienced it yet, now is the time to do so. 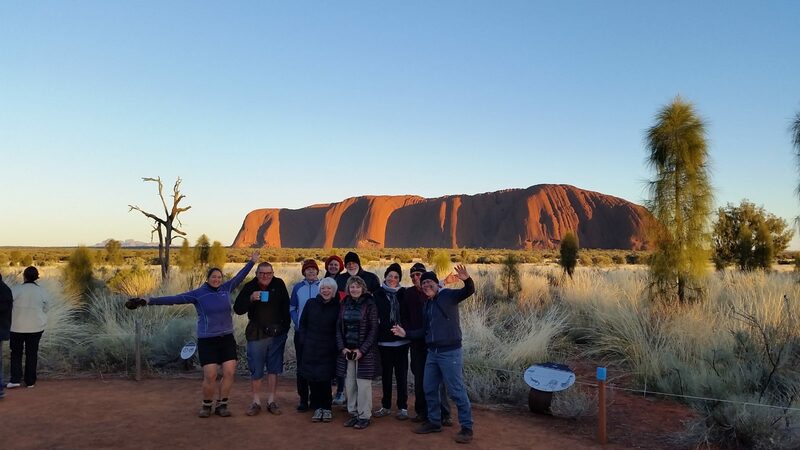 Over the course of 10 days, walk the highlights of the Larapinta Trail, explore Kings Canyon, admire Uluru and Kata Tjuta (The Olgas) on this active tour of central Australia. Do you enjoy walking and being out in nature? Do you want to see more than the average visitor? 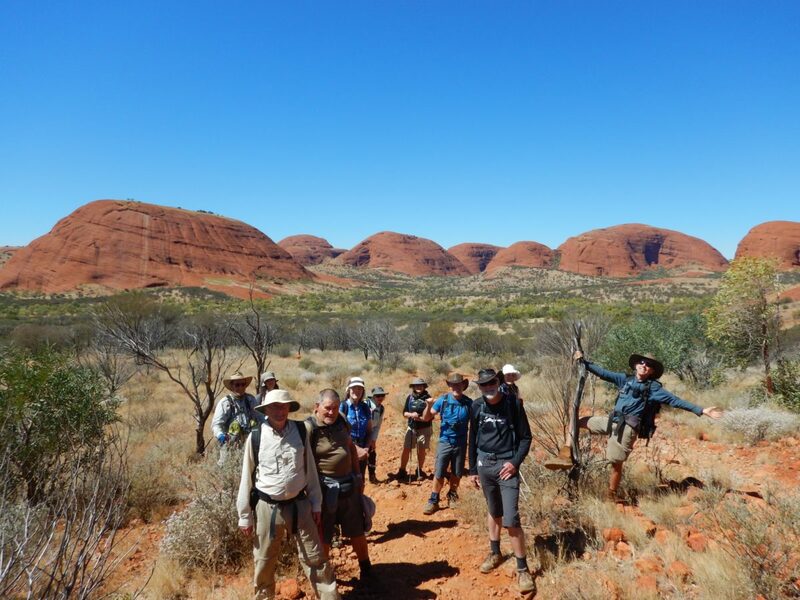 We will take you on the very best 5 day walks on the Larapinta trail, then to the remote Kings Canyon before finishing with a tour of Uluru and Kata Tjuta (The Olgas). We’ve designed a 10 day itinerary which is active yet relaxed. Travel in air-conditioned comfort and enjoy fantastic guided walks along the way. Fantastic moderate bush walks. Active yet relaxed. Choose from camping or basic cabin style accommodation. 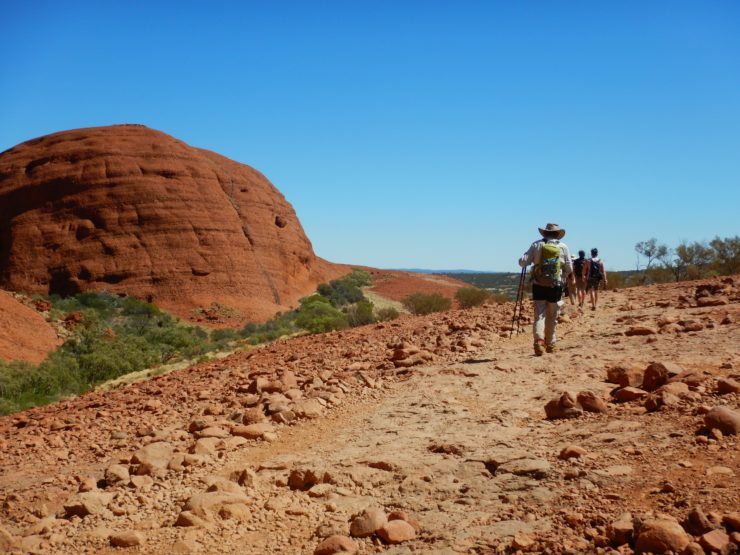 From the amazing Larapinta Trail to the iconic Uluru, this tour is full of highlights. Each day, enjoy the very best day walks Central Australia has to offer. 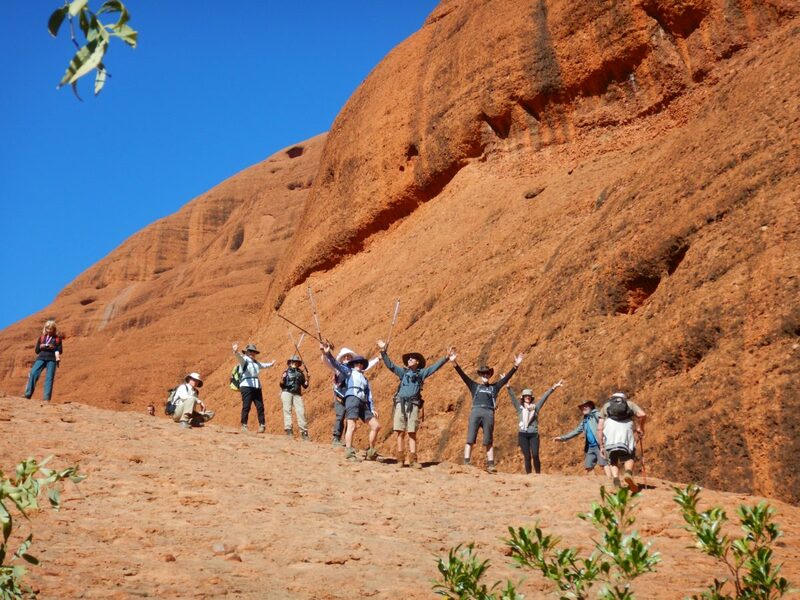 A guide will accompany you each day as you discover the highlights of the Larapinta Trail, explore the remote Kings Canyon and take in Uluru and Kata Tjuta from below. On some of the more challenging walks two guides will accompany the group, to offer more options. 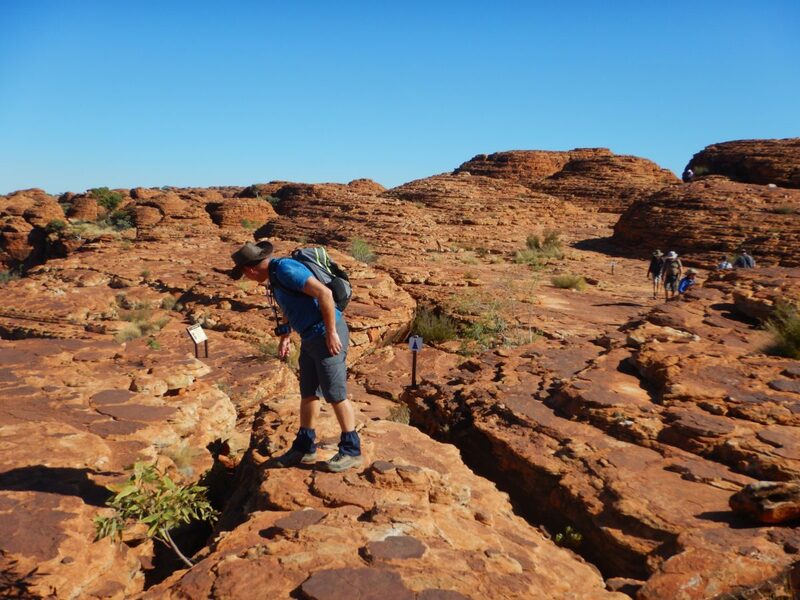 Some of the walks on The Larapinta Trail, King’s Canyon and Kata Tjuta include quite steep and rocky sections; but, with a moderate level of fitness, each walk is enjoyable! We highly recommend that you do some training beforehand, especially walking steps and doing some training on rocky terrain. 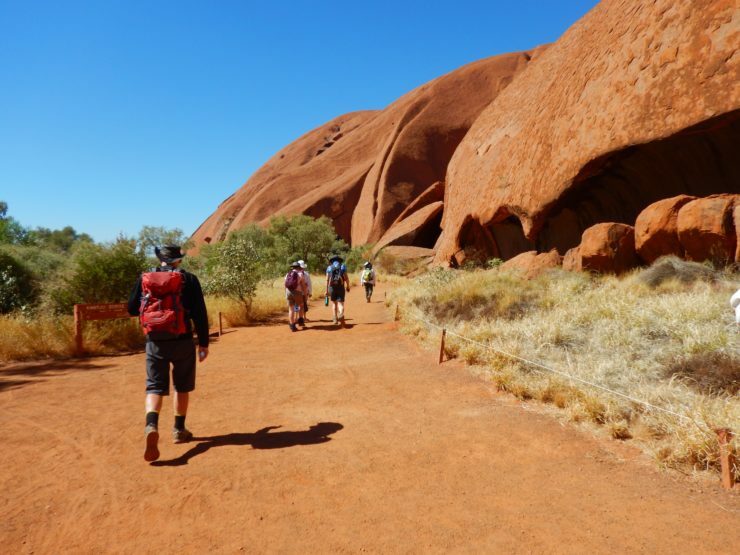 Most walks along the Larapinta Trail will be in one direction whereas the walks around Uluru, Kata Tjuta and Kings Canyon are circuit walks. You are always welcome to take a day off walking. We will try to help you find suitable alternative activities. *The itinerary may alter depending on extreme weather conditions and heat. The tour starts and finishes in Alice Springs and we will pick you up from the airport (or arrange for a taxi for you if it is going to be at a funny time). Feel free to arrive whenever suits you. In the evening we will meet for a group dinner prepared by your guides and a detailed brieﬁng of the tour. Our chef guides make a pretty delicious meal so be sure to arrive earlier in the day so you won’t miss out. We depart Alice Springs town after breakfast and head just out of town to the Telegraph Station. From here we start our walk on the Larapinta Trail and as we head along the ridges just behind Alice Springs town we start getting our first glimpses of the seemingly endless mountain ranges all around us. From Wallaby Gap we will head back to Alice Springs for one night. While you unpack your guides will prepare a 2-course dinner. 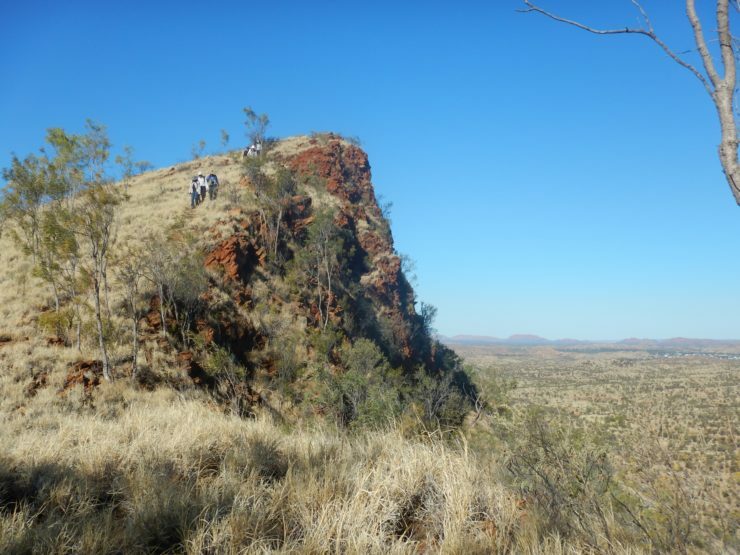 Today we drive out to Standley Chasm from where we start our walk on The Larapinta Trail up to Reveal Saddle and back. As we make our way along the creek bed and then slowly start climbing up through the valley to the top, you would never have anticipated the stunning views you get rewarded with once at the top. Spot the odd Cycad hidden away in the gullies and enjoy an array of flowers and River Red Gum Trees in the creek bed. In the afternoon you will have time for the short walk (2km) up into Standley Chasm. From Standley Chasm we then make our way to Glen Helen to settle in at our accommodation for the next 3 nights. 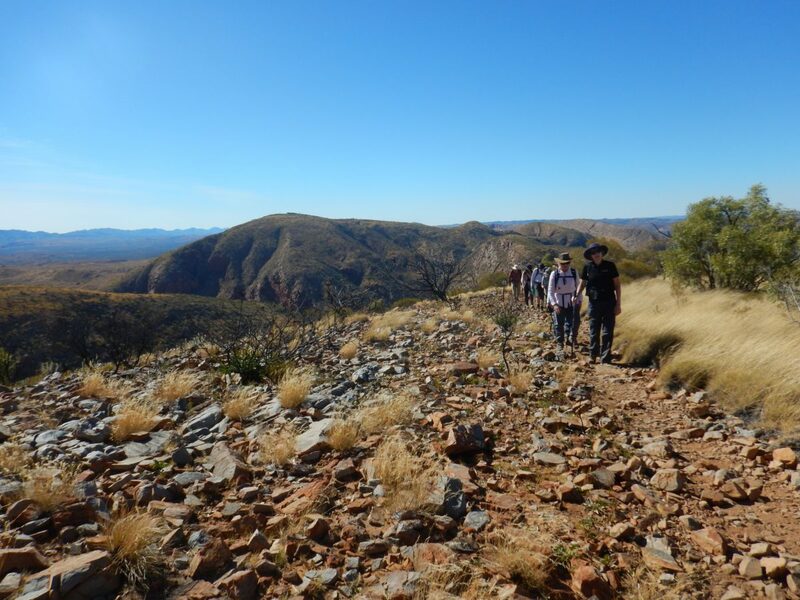 Journey to one of the most popular walks on the Larapinta Trail. From Serpentine Gorge carpark we make our way up to the top of the ridge. Discover some Mountain Hakea along the way and enjoy the breathtaking views once we get to the top. Discover the most iconic picture of the Larapinta Trail at Counts Point from where we head back down towards Serpentine Chalet Dam. At the end of the walk we will head to the famous Ochre Pits to have a look around one of the most significant places to the local Arrente Aboriginal people. Ready for an adventure and a highlight of the Larapinta Trail, we make our way to Redbank, from where we will start our walk today. From the valley floor we slowly make our way up some steep sections to get to the Saddle. As we walk along the Saddle take in the vastness of the area before ascending to the top of Mt. Sonder. Enjoy your well deserved lunch as we take in the spectacular 360° views. 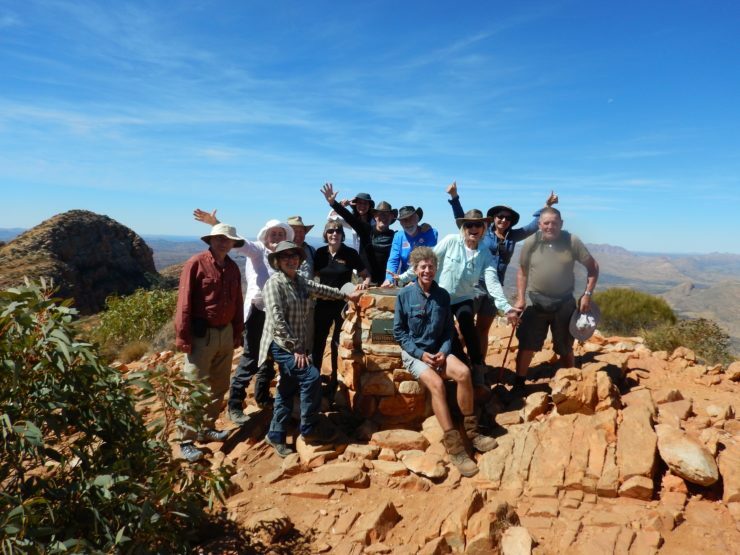 Today we enjoy our last walk around the West Mac Donnell Ranges before making our way along the Mereenie Loop to Kings Canyon. 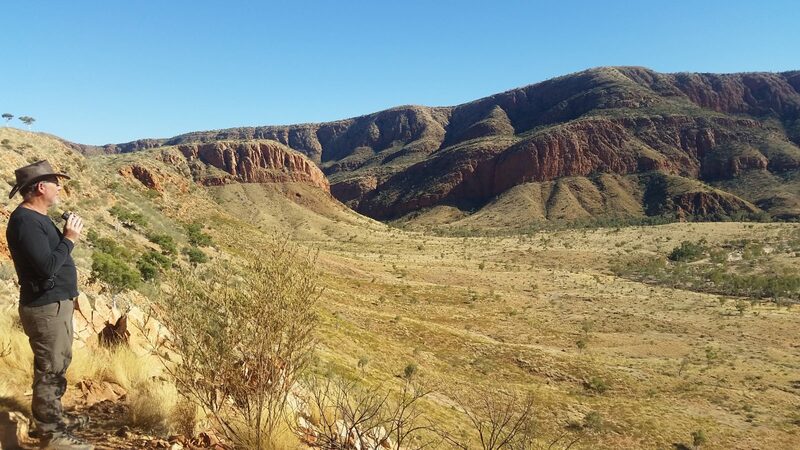 The Ormiston Gorge Pound is a stunning walk that shows off all the beauty Central Australia can provide. 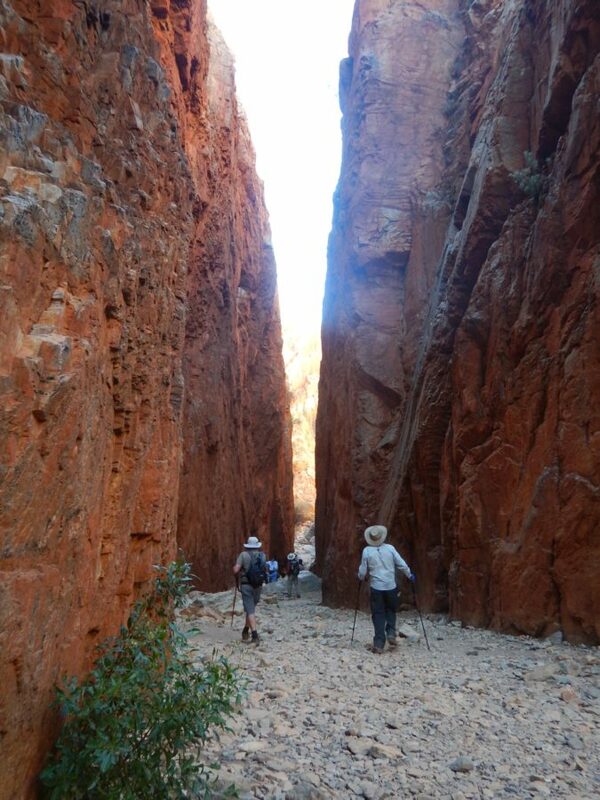 After our walk in Ormiston Gorge we make our way along the unsealed Mereenine Loop to Kings Canyon. Here we will enjoy a dinner at the Restaurant after settling in at our accommodation. Enjoy awakening to the sounds of the Australian Bush before we head out to Kings Canyon for the Rim Walk. After a steep climb up to the top the walk takes us along the canyon and through a small remnant of a tropical oasis. In the afternoon we will immerse ourselves in an Aboriginal Cultural Tour. 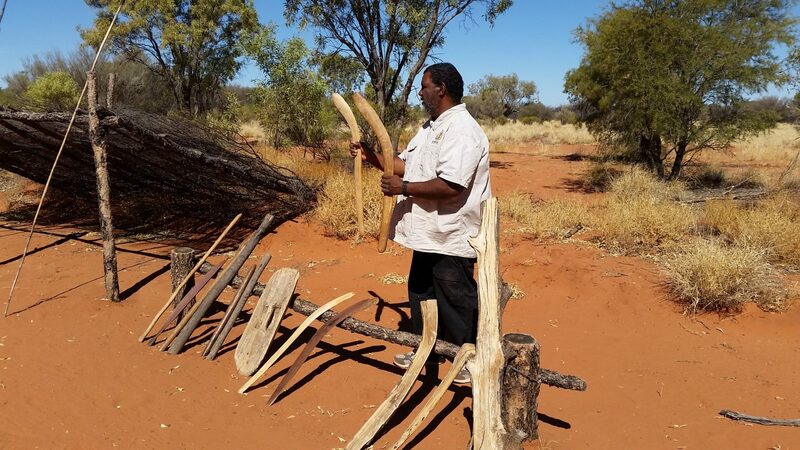 Experience spear and boomerang displays, learn about bush tucker and bush medicine, learn local languages and much more. You could even choose to top it all off with a flight over Kings Canyon. Moving on to probably the highlight of any Central Australia trip we make our way to Uluru and Kata Tjuta National Park today. 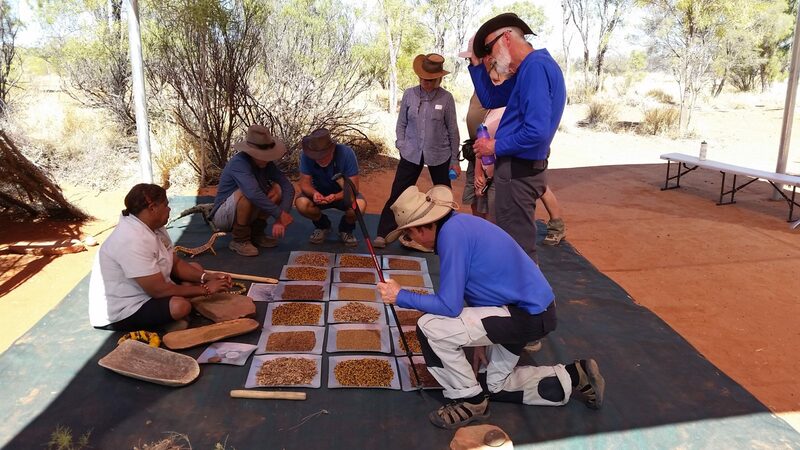 In the afternoon we commence our Uluru Base Walk and have the chance to discover the diverse Base Walk, which has much more to offer than you might expect. As we admire Uluru from below we will learn more about the local Anangu people and some of the amazing stories connected to Uluru. After a leisurely breakfast this morning we head to Kata Tjuta for the Valley of the Winds walk. Walking through the many domes and coming up close to this conglomerate rock we discover how different Kata Tjuta and Uluru are. With some free time in the afternoon you may choose to join a helicopter ride, come up close to some camels, discover Yulara or just relax. Later we will enjoy some nibbles while watching the sunset over Uluru as we reflect on a great trip. To top it all off we will include a visit to the Field of Light (included until December 2020) after dinner. 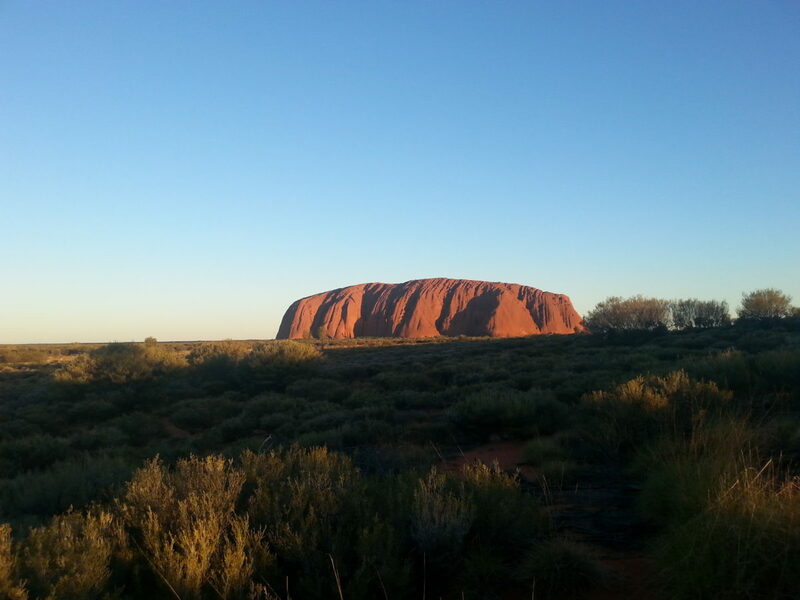 To complete your experience of Central Australia we head to Uluru for sunrise. 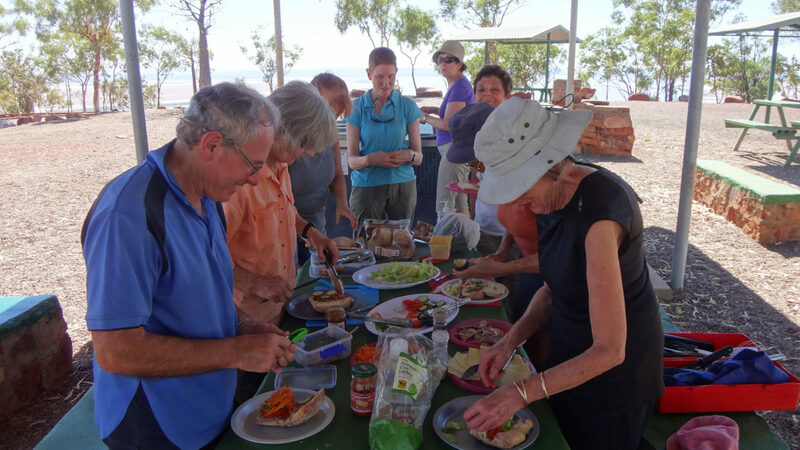 Before our journey back to Alice Springs we return to camp to enjoy one last leisurely breakfast and pack up. We break up the long drive (5.5hrs) with a few interesting stops along the way. The drop off at your chosen hotel in Alice Springs will be around 4pm. The motel style accommodation is allocated on a double or twin share basis. If you are a solo traveller we will room you with another solo traveller of the same gender. Limited single supplements are available at an additional charge. Please ask for details and availability if interested. On our first night we will be staying in Alice Springs at Alice on Todd. We will be staying in a series of 2 bedroom, 1 bathroom apartments and we will come together for meals in an outdoor communal area. Single supplement is available for campers at this accommodation. 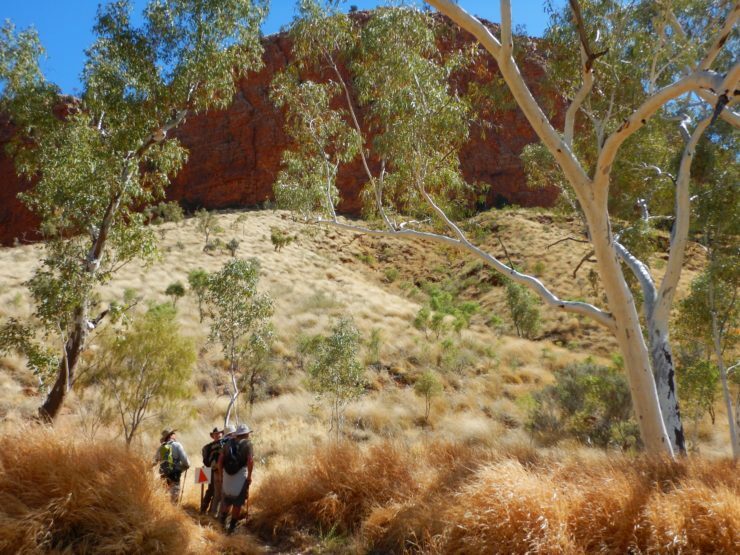 We then move to Glen Helen for 3 nights to get closer to our walks on the Larapinta Trail. At Glen Helen we will be staying in the motel rooms with ensuite bathrooms. The camp kitchen will be set up in the camping area, which will be a very short walk from the motel rooms. At Kings Canyon we will be staying at Kings Canyon Resort for 2 nights. Here we will be staying in very basic motel style rooms with shared toilet blocks. The group camp area is very close to the motel rooms where we will set up the camp kitchen. In Yulara we will be staying at Ayers Rock Resort Campground. The accommodation we will be staying in is basic cabins with shared toilet blocks and the camp kitchen a short walk away. Due to health and safety requirements, please limit your luggage to one medium sized, soft sided bag per person. Length + width + height should not exceed 140 cm. The maximum weight of the bag shouldn’t exceed 15 kg. If you’re travelling as a couple, please pack two smaller bags rather than one large one. Your day pack is in addition to your main luggage bag. Three meals each day plus morning tea and snacks are included in the price of your tour (unless otherwise specified – see tour itinerary for details). If you have any special dietary requirements please let us know when you book, we are happy to adapt our tasty, nutritious meals to suit a variety of dietary needs. Transport is by an air-conditioned custom built four wheel drive (4WD) tour coach, designed for comfort in outback conditions. Vehicles are modern, comfortable and regularly serviced to ensure their safety and reliability. They are also fitted with long-range high frequency radios and recovery gear in case of emergency. In the case of breakdown or other unforeseen circumstances affecting the vehicle or guide, the operator reserves the right to substitute vehicles and guides other than those specified, to ensure the operation of a tour. Seat Allocation: Seats on tour vehicle are not pre allocated. To ensure all participants get to enjoy window seats we encourage a daily seat rotation system. We pride ourselves on providing you with fresh, wholesome food. Enjoy healthy breakfasts, delicious morning teas, fresh picnic and packed lunches, fruit and hearty two-course dinners each day. Wilderness first aid trained guides carry radios, satellite phones and a full first aid kit so you can walk without worry. 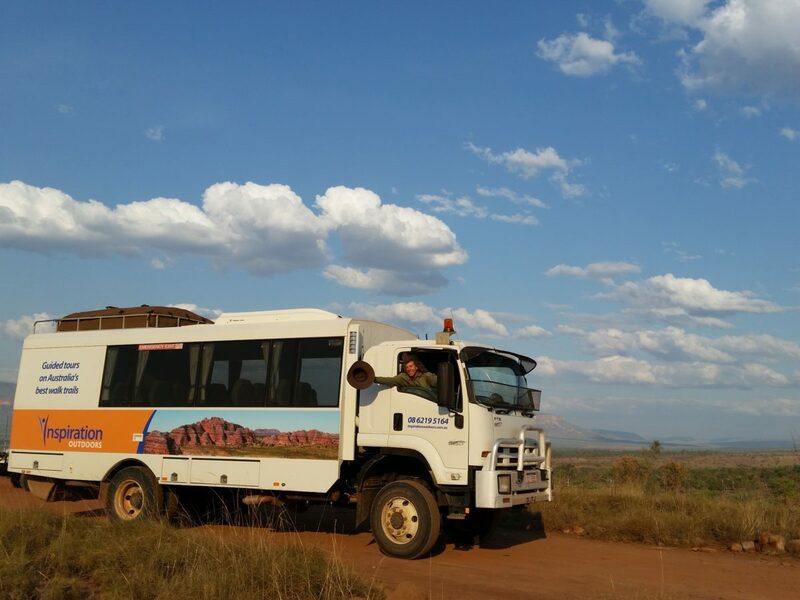 Transport is by an air-conditioned custom built 4WD tour coach, designed for comfort in outback conditions. Regularly serviced to ensure safety and reliability. Fitted with communication and recovery gear in case of emergency. How hard are the walks on this tour? 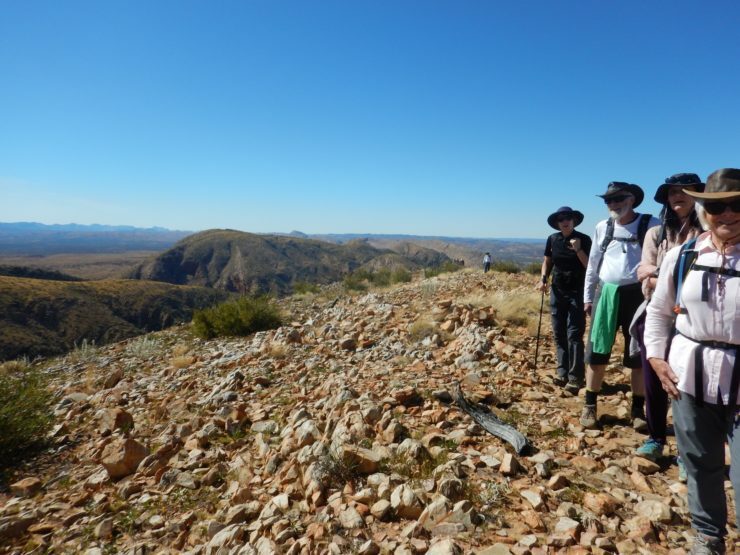 The walks on the Larapinta Trail walking tour are not particularly difficult, but most walks will be on rocky and uneven surfaces. The itinerary however is built in way so we can take our time and don’t have to rush to complete the walks. On some of the longer and more strenuous walks there is an option to shorten the walk and you may choose how far you would like to go. The more training on rocky and uneven surfaces you do the more fun the tour will be. What will the weather be like in June, July and early August? The average temperatures in June, July hover around the 20°C mark during the day and the nights around the 5°C mark. Although the weather is cooler at this time of the year, it is a popular time to visit Central Australia as the summer +30°C sun makes it quite uncomfortable to stand in, let alone embark on a walk! Come prepared with layers so you can stay warm or cool throughout the day. The chance of getting rain in this period is very small, but still always come prepared. 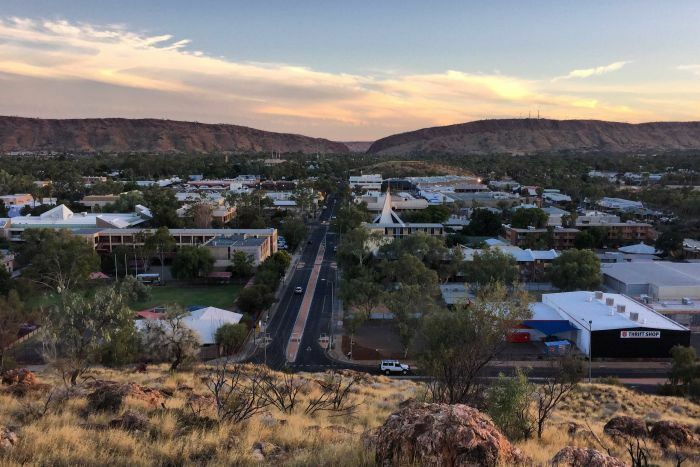 Humidity is usually quite low in Central Australia (the average relative humidity in Alice Springs is 24%), which makes drinking enough water very important to feeling well. Make sure to bring enough water bottles with at least 3l capacity. Another thing to look out for is the UV index or UV radiation intensity. Protect yourself from sunburn by using SPF30+ sunscreen and wearing sun-smart clothing, including a hat and sunglasses. Can I buy snacks and alcohol once we leave Alice Springs? Yes, but options will be quite limited. Glen Helen Station and Kings Canyon Resort are very small properties and will have limited stock. Yulara township is very small and will also only offer a limited selection. Due to us travelling on the Mereenie Loop Road, cask wine and keeping glass to the minimum would be greatly appreciated. If you need to stock up in Alice Springs on the first day, please let us know and we will endeavour to make a stop at the shops. Do I have to share a room or tent with other people? No, if you decide to camp you will be provided with your own tent. If you decide not to camp you don’t have to share either as there are single supplements available at an extra cost. There is a limited amount of single supplements available though. If you decide to share your motel room, it is on a twin-share basis and we will team you up with somebody of the same gender. If you are interested in a single supplement give us a call or send us an email for further information. 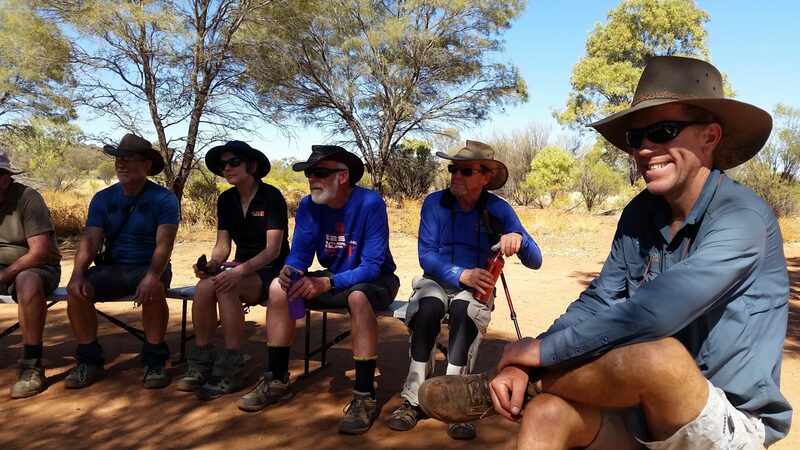 As much as this walk on The Larapinta Trail, Uluru and Kata Tjuta is a fantastic outdoor experience, it’s also a social experience, giving you a chance to enjoy the companionship and support of like-minded people. Enjoy a cuppa with a slice of home-made cake for morning tea and a fresh healthy lunch, surrounded by nature. Every day is finished off by a delicious and nutritious dinner together with the group. I have been on many Inspiration Outdoors tours and I keep coming back. There is so much effort put in to make the trip enjoyable. Love the walks, love the food, love the guides. Can’t recommend highly enough. – the particulars of your tour (accommodation, transport, food etc), are as described on the website and in the tour notes.